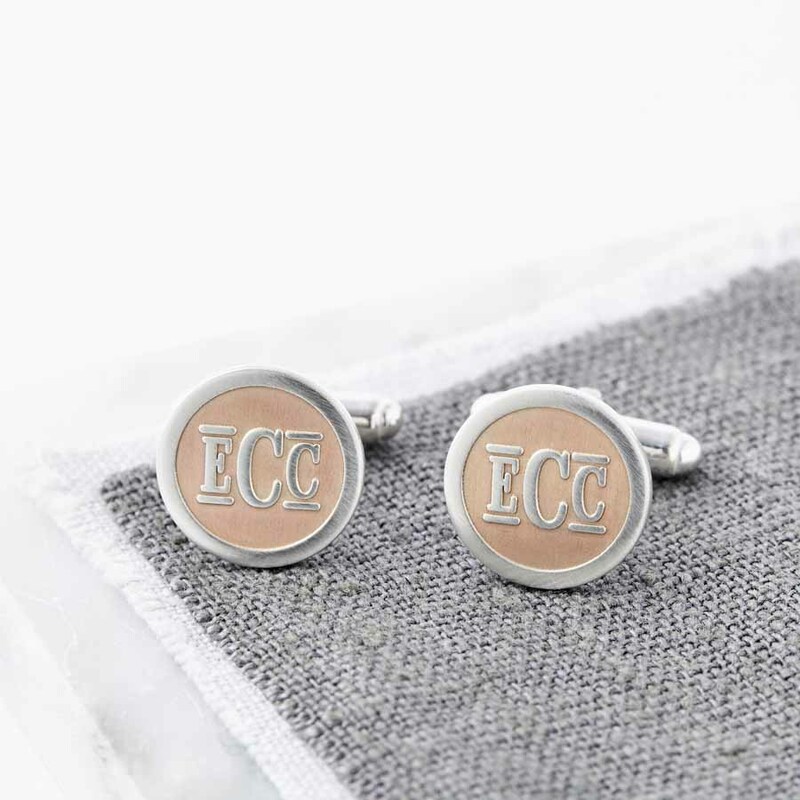 Stunning personalised sterling silver cufflinks with 18ct rose gold accents featuring a contemporary monogram. 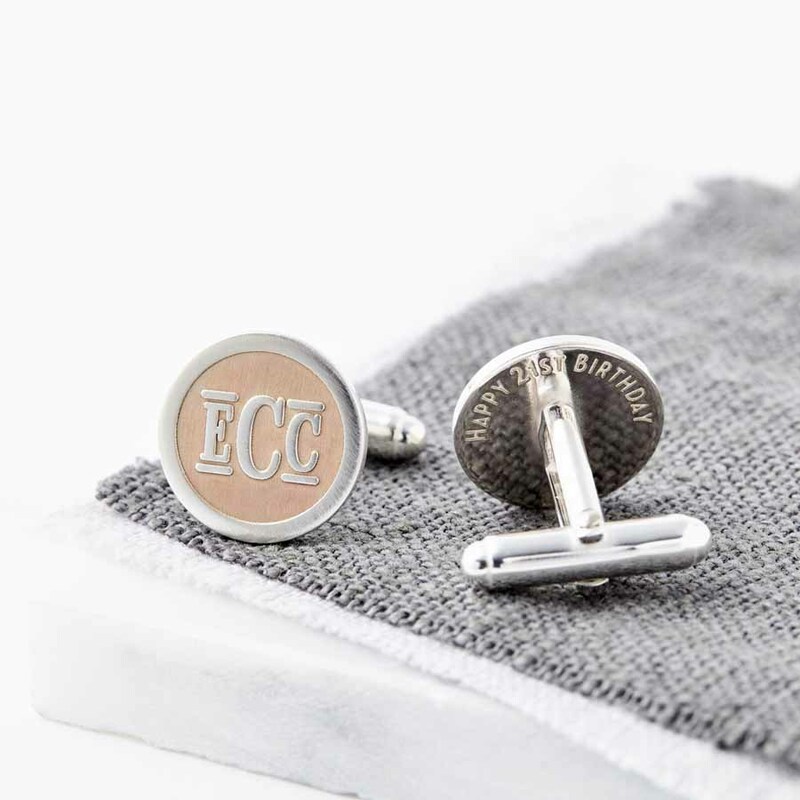 Hand made to order in our studio, we etch the solid silver round cufflinks with a contemporary monogram using your initials. We then highlight the monogram using 18ct rose gold. 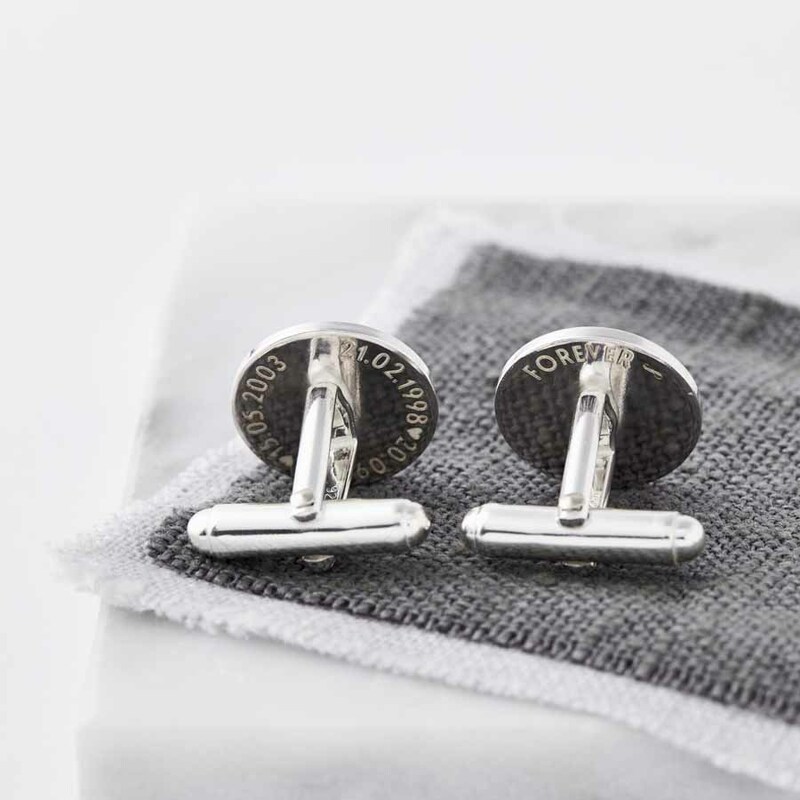 A hidden message can be added to the back of the cufflinks – something between just you and the wearer. We can create the monogram using two or three initials. 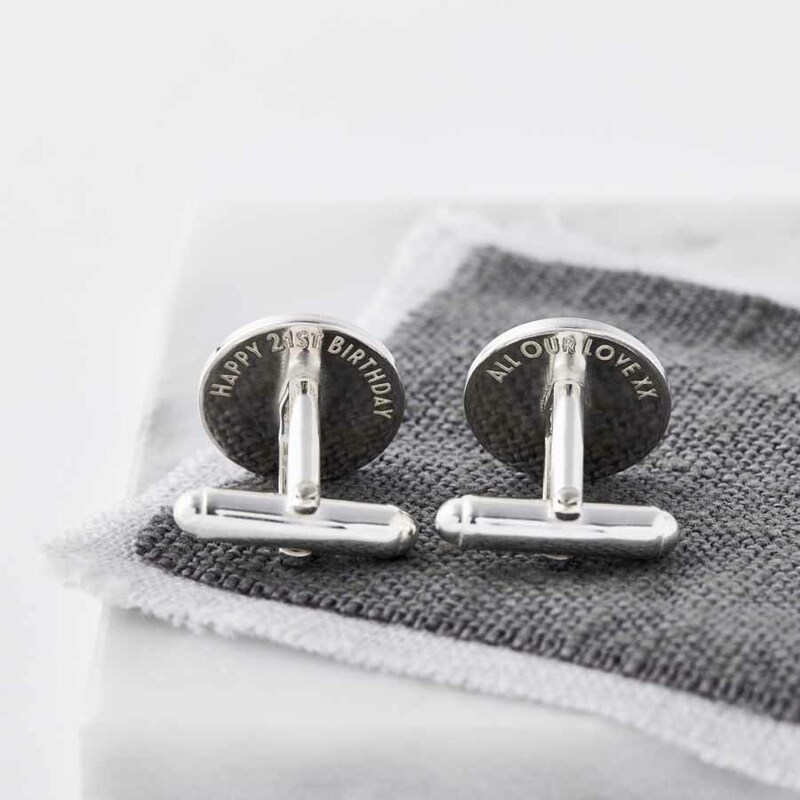 Perfect as a special Birthday, Anniversary, Christening and Father’s Day gift, or as a gift for your groom on your wedding day. Sterling silver with a brushed finish and 18ct rose gold accents. Fronts approx 1.6cm diameter, 1.5mm thick.